As a tyre professional, TyreLeader gives you the opportunity to benefit from discounts on your online purchase of tyres : car, motrocycle, trucks, industrial and agricultural. After verification of your certificate of incorporation, your account will be activated and you will receive your login information via email. To request the creation of a professional account and benefit from discount rates on the purchase of tyres, you just need to click the button below. Creating an account takes less than 5 minutes. Prices and availabilities are updated several times a day. Discounts apply to all the categories of products available on TyreLeader ( car, motrocycle, quad, truck, industrial, agricultural and wheels). 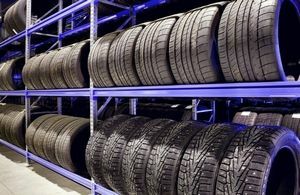 As a a partner fitting centre, TyreLeader gives you complete access to your workshop information which you can update at any time ( rates, opening time, directions) .